Barn Home — B.K. Marek Construction, Inc. 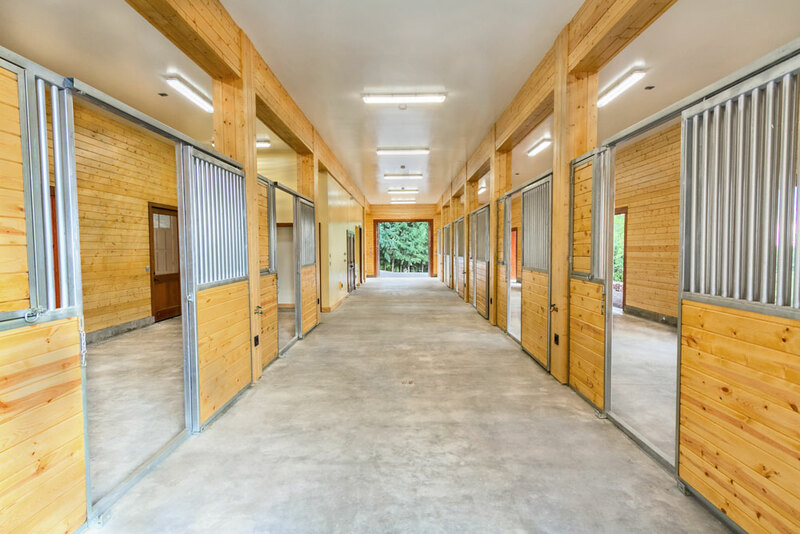 Features: Multiple horse stalls, washing area, mud room with shower. 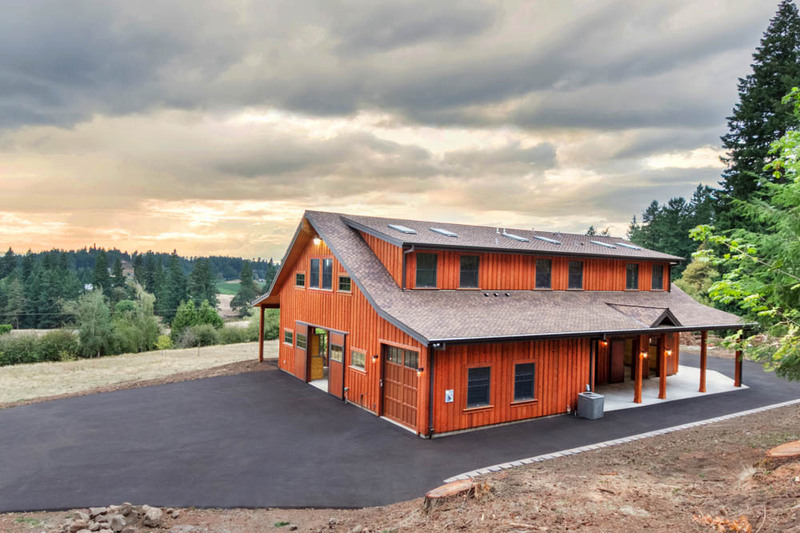 This unique project was built on 10 acres near West Linn, Oregon. The property owner is a veterinarian and built this barn with the intent to board horses as well as have guest living quarters upstairs. The exterior of this building is done in a true cedar board and batten design. The horse stalls were built with 2x6 tongue and groove fir boards with iron metal bars to ensure durability. 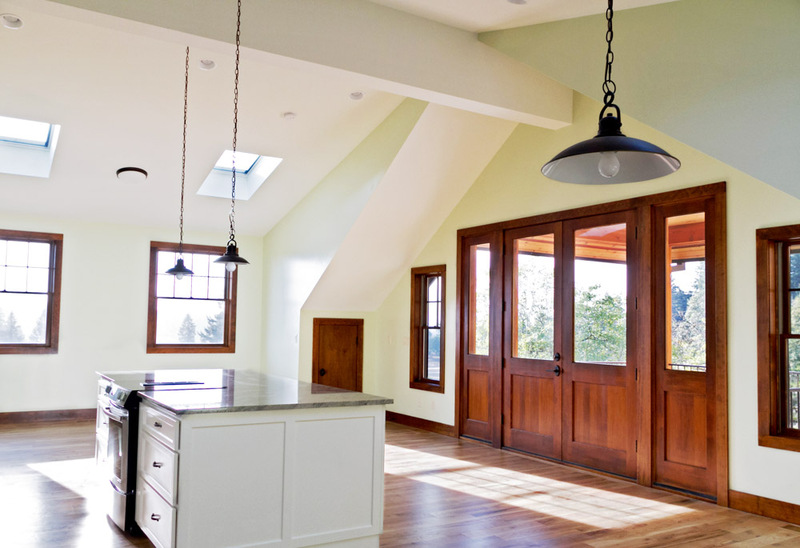 The living quarters upstairs has several amenities such as all hardwood floors, granite countertops, hardwood doors, custom trim as well as 12 automatic skylights. ©2019 B.K. Marek Construction, Inc.